During these times of intense and extreme economic difficulties and national outcries, it is good that you are able to understand how the recession affects you and your finances. It is even more important that you understand how to deal with the situation so that you do not get swept away by the negative tidal waves. 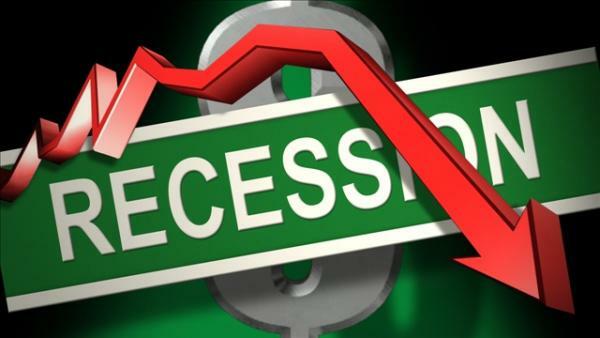 There are different postulations all over the place about the definition of economic recession and everyone is trying to apportion blame or justify the situation in one way or another. But the truth is that all you need to understand the meaning of economic recession is to look in the eyes of an average Nigerian. You only need to look at how much it costs you to fill your car tank with petrol or how much more you need to spend to buy diesel for your generator. Clearly, the value of the naira has plummeted and inflation is almost at 20%. Really, if you look at it, you do not need an economist to educate you or define in economic terms what recession means. For most Nigerians, a more important issue is how to survive these hard times and not sink further into debt. While the government is busy trying to adjust economic policies to try to reposition the economy and reverse the negative trend, you will have to understand how to keep your head above the water. Of course, there are difficult days ahead and nothing on ground gives any indication that there is something being done to correct the situation. So why the government is trying to arrest the situation and reverse the downward spiral, you need to understand what you can do differently in order to survive. Developing alternative streams of income and having a second or third means of income is vital for surviving during a recession. It is often difficult for people to understand this principle. What can you do that you can get paid for? The time to offer freebies is over. If you have a skill that someone needs, it is time to start charging for it, no matter how little. After all, during these times, every kobo counts. A neighbour I recently engaged confirmed that she started making moi moi for her colleagues at work. She makes extra income because her colleagues now place daily orders for her moi moi. Another school teacher I engaged now makes coconut chips which she sells to students and other teachers as a way of augmenting her salary. Stop wasting your evenings and weekends and start using it meaningfully to earn yourself extra income. Do whatever legitimate things you need to do but never assume or make the mistake that you cannot do anything. As difficult as these times may be, people underh paid employment are more likely to manage the situation better. Gone are the days when you could just walk out of a job and enter another. The reality is that there are no new jobs being created except in cases where someone is starting a new business. So you need to understand that as difficult as it may be doing your 9 to 5, it is far more difficult for people out in the cold without jobs. The implication is that you need to continue to add value to your organisation to avoid a situation where you may be laid off. If you need to up-skill or learn a new application, spend some money and acquire the knowledge. Employees who add little or no value are easily expendable because they are a burden to the organisation. So strive to be that employee that your organisation cannot do without. For people who are approaching retirement, you need to remember that it is cold out there and life can become pretty unbearable. So you need to start considering how you will earn extra income beyond what you may be getting in retirement. Imagine that the current hardship extends for another two years. The effect of inflation will shrink your retirement savings and make it inadequate to continue to meet your financial obligations. It is vital that you keep your spending to the basics. This is not the time to spend on luxury items. Learning to conserve what you have is vital to surviving during a recession. It is certainly not the time to carry burdens that are not meant for you. It is also not the time to extravagantly spend on parties etc. The principle is that at times of economic recession, it is often easier to conserve what you have than to make more. So it will be helpful if you can block the leakages and financial loopholes. Unless you absolutely need to have more than one car, this is the time to sell off that second car and put the money into better and more profitable investment. It is also not the time to embark on expensive holidays. One way to lose your money is to invest in something that you have either not researched or understand the opportunities therein. As much as it is good to invest your money, it is much better if you do the due diligence that is required for that new business. You need to treat your money as your seed. Farmers know that you just do not throw your seed anywhere and expect returns. It is important that you understand how to determine risks and know what risks you can take and how to mitigate them in order to reduce losses. Most business ideas may sound good in principle, but in reality, they may be traps that will swallow your money. Of course, these challenging times also offer great investment opportunities. But get proper advice and the training required to embark on any venture because you might just lose your money in the process. It is vital that you do not have a grasshopper mentality by looking down on yourself or seeing only the impossible. Staying positive in crisis is important if you must come out of it. All over the news, there will be gloom and doom. So it is important you do not feed your mind with all the negativity around. The situation might be rough out there but someone somewhere is still getting it right and making the best of this season. Their secret is not seeing this period as the end of the world but in actively seeking for opportunities and plugging into them for profit. So you need to keep that smile on your face, looking to the future to survive. Surely, tough times never last, but only people with positive mental attitude and readiness to do the work will see the light in the end. Determine that these times will not define or destroy you because no matter how dark and long the night is, morning will surely come with better promise for a good life.